« U of C President Zimmer speaks on free expression at universities, criticizes the “comfort ethic” that infantilizes students by trying not to make them uncomfortable. Meanwhile, our students demand infantilization. 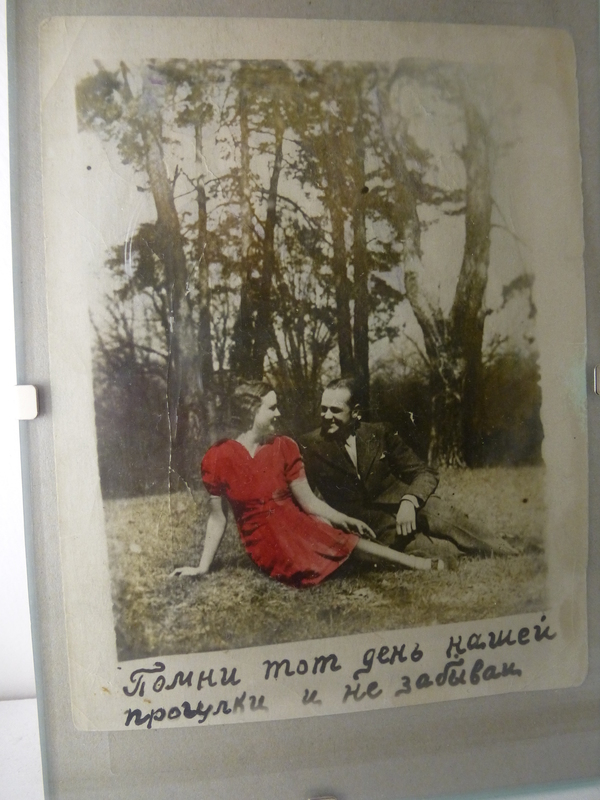 Here’s yet another truncated romance documented in Zagreb’s Museum of Broken Relationships, which I described yesterday, posting three specimens. I’ll post one a day for a while, and those readers who made a point of telling me they don’t like this museum can skip them. 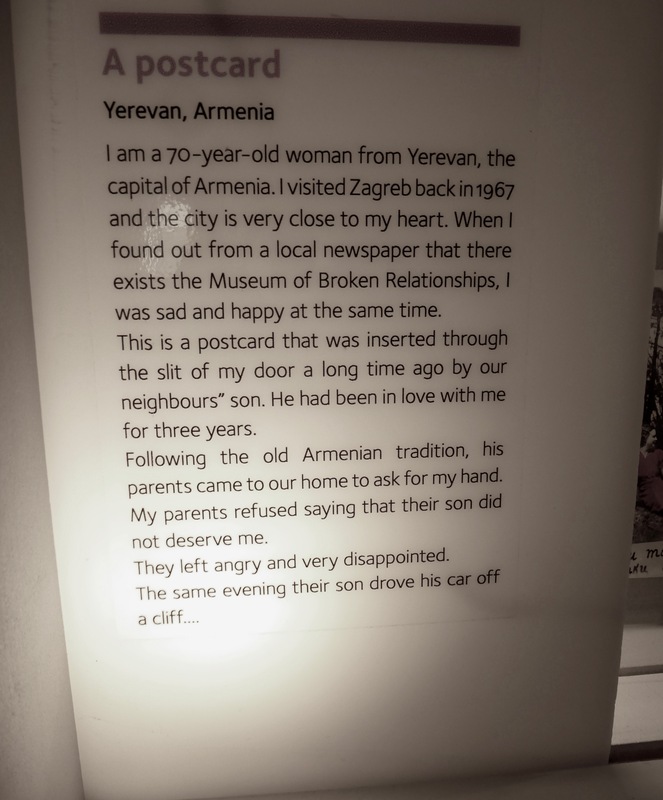 This entry was written by whyevolutionistrue and posted on October 22, 2018 at 2:30 pm and filed under museums, romance. Bookmark the permalink. Follow any comments here with the RSS feed for this post. Both comments and trackbacks are currently closed. Well, since other readers have chimed in the other way, I simply have to post that I am fascinated by this museum and am quite grateful for these posts. IMO, there are three American masters of the romantic breakup song, Joni Mitchell, Bob Dylan, and Judy Garland (written for her by others). In his 2nd and 4th albums, Bob Dylan wrote 3 strong break-up songs, TWO of which became quite famous (“Don’t Think Twice” and “It Ain’t Me Babe”) and one which languished in obscurity (“I Don’t Believe You”). That last one is less noble and edifying, but is more cathartic and deserved a wider audience. As for Mitchell, there is of course “Both Sides Now”. I dunno, JLH, ol’ Francis Albert Sinatra knew a thing or two about break-up tunes, too, especially after the split with Ava. Take “One for My Baby (and One More for the Road)”, for example, words and music by Johnny Mercer and Harold Arlen. Not to mention “Tangled Up in Blue,” which is a break-up song after a fashion, too. As Joni Mitchell breakup songs go, Amelia is in a class by itself. Joni live on stage, with Path Metheney noodling a bit at the end. And count me in for the posts about the Museum of Broken Relationships! Not quite the conventional break-up song but “If This Is Goodbye” belongs, I think, in this collection. “Remember the day of our walk and do not forget”. I think it interesting and surprised that people would put this out in public. Not too sure I could do it. Had some events as many have, years ago but you just file them away and wonder. Any pictures were way before any on line service. Not something you sit around discussing with your wife normally. By and large the people are anonymous, so, except for some items in the exhibits, you don’t know the names of those involved. A sad story, but I have to wonder if she returned his affection or not (whether she acted on it is irrelevant). She didn’t specify, only giving her parents response. Well, I’d think that if she didn’t return his affection this would not really be a broken relationship. It could simply be a relationship that might have been. She might be sad at her parents for refusing him, or simply sad that he killed himself over her. Unrequited love? Interesting observation. Many people hang onto old love letters, etc., but when you’re 70 you start to realize that they’ll mean next to nothing to any of your heirs. This way the story lives on; and the poor suitor will not be forgotten. A sad museum but worth a visit, in my opinion.